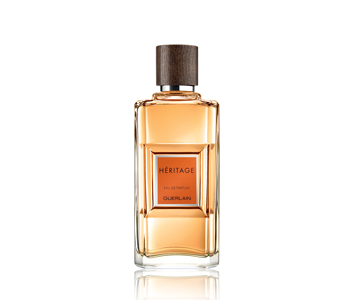 GUERLAIN Heritage is a fragrance composed for a man of today, inspired by men of yesterday and dedicated to the men of tomorrow. It is for a man who is at once a trustee for tradition and a herald of a new spirit. Heritage is aromatic freshness, succeeded by the subtlety of a warm spicy accord on a woody dry-down with shades of the orient. The exuberant freshness of lemon and bergamot top notes meet an aromatic breeze of lavender. Then, the heart is enriched with fresh, spicy notes such as coriander and pink pepper; then there emerges a rich, oriental woody dry-down.